If European leaders won’t agree on a working intra-European solidarity mechanism, Europe’s free movement zone will be at risk and many more children will lose their lives trying to reach safety and shelter in Europe, writes Karen Mets. Karen Mets is a senior advocacy adviser on asylum and migration at Save the Children. As Europe’s leaders gather in Brussels for next week’s Council summit, migration will be at the top of their agenda. Leaked Council conclusions are clear on where this is heading: leaders are keen to keep asylum-seekers out of Europe. Vague proposals on disembarkation platforms to process asylum claims, along with increased support for the Libyan coast guard to send people back to Libya, where we know torture and detention are common, set the tone. While the focus on closing borders has intensified, we are exactly where we were three years ago: without a robust asylum system to manage further crises. The Aquarius crisis, along with the German government crisis, have shown that even with very few arrivals – the lowest since 2013 – we need an intra-European solidarity mechanism that works. Without this, we will not only put Europe’s free movement zone at risk, but many children will continue to lose their lives in dangerous journeys to reach safety, shelter and family in different European countries. National heads of state need to break the stalemate around the Dublin regulation, which dictates that asylum seekers have to remain in the first European country in which they arrive. This places intense pressure on member states at the EU’s borders and has paralysed the EU for many years. Save the Children witnesses first-hand what kind of effect a lack of intra-European solidarity has on children. Member states at the EU’s borders, unwilling to take charge of asylum-seekers entering their territory, violently shunt asylum-seekers back and forth across borders. Save the Children has testimonies of children being hit or shot at by Romanian, Hungarian, Bulgarian or Croatian border guards while they attempt to seek asylum in the EU. In April alone, our teams in Serbia received 573 reports alleging pushbacks at different border crossings involving 91 children. Just a few weeks ago two twelve-year old children were injured in Croatia when the police fired shots at a van carrying 29 migrants. Dublin also oversees family reunification – where children are reunited with relatives – inside Europe. 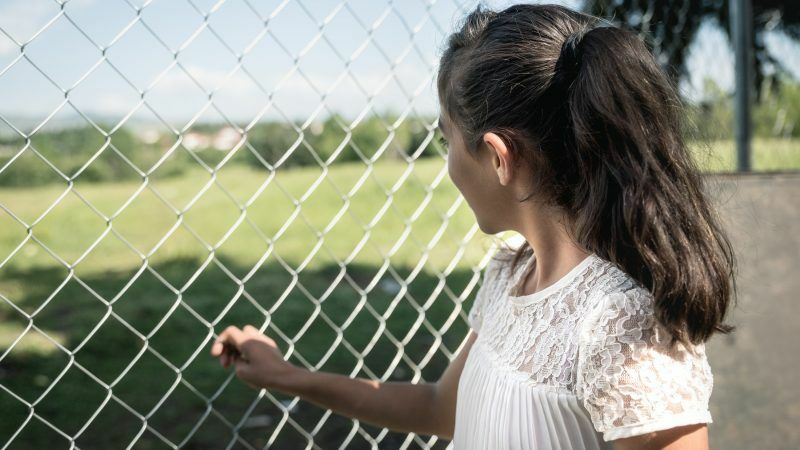 This, along with the relocation scheme, which distributes asylum seekers between different EU member states, has been key to ensuring children know they have better options than taking risky journeys on their own. Lengthy procedures to reunite relatives are among the main causes of unprotected movements of children and families within the EU. This prompts many children to try to cross the Italian land border, risking their safety, well-being and lives. In Ventimiglia (close to Italy’s border with France), unaccompanied children between 15 and 17 years old spend months in informal and unsafe settlements, exposed to unacceptable living conditions, human trafficking and other abuses before (often repeatedly) trying to cross the border. In order to bypass border controls, they hide in trains or trucks, walk along the railway or follow dangerous mountain routes such as the one between Grimaldi (Italy) and Menton (France), sadly known as “the deadly pass”. Disappearances are on the increase – at least 5,800 unaccompanied minors are missing from those who arrived in Italy over the past years. Under the new Dublin regulation, relocation would be mandatory in times of crisis, prompting member states to share responsibility. It also proposes a fast-track procedure for family reunification, making sure children don’t have to wait for months to be with their loved ones. Border states are right to argue that they should not be the only ones taking charge of incoming asylum-seekers. As a result, they have often ‘waved people through’ to countries like Germany or Sweden, who also are justified in saying they should not be the only ones hosting the bulk of the asylum-seekers arriving in Europe. Those hosting states, traditionally known for their high protection standards, are now introducing new rules which spell less protection or re-introduce border checks within Europe, hampering free movement of all European citizens, one of the cornerstones of the EU. In the end, everybody loses. Asylum seekers are being passed along as pawns in a political game. This is slowly degrading our entire asylum-system. It taints public attitudes, which sometimes stack up against one perceived common enemy: the migrant. As long as member states refuse to work together, we are losing children’s lives. Nobody questions the EU’s right to control or protect its borders, but the EU will get nowhere if it doesn’t first solve its internal problems. The European Parliament’s proposal includes some useful suggestions: abandoning the first country of arrival rule, introducing automatic relocation to other member states and fast-tracking family reunification. This could go a long way in ensuring that children not only move safely and regularly across Europe but also to ensure that there will no longer be a need to introduce internal border checks, safeguarding the EU’s free movement zone. The motto of the incoming European Austrian Presidency is ‘A Europe that protects’. Save the Children strongly hopes they choose not only to protect borders but to protect children too. According to the latest data available as of 18 June 2018 the number of unaccompanied minors relocated from Italy is 262.